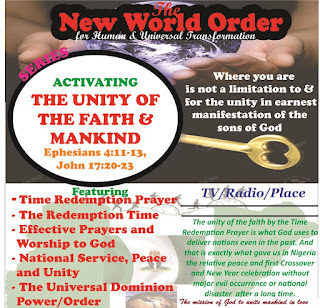 In and outside the shores of Nigeria, many people are saying or probably have a clue that God is doing or will do a great new thing in Nigeria but they may not know how to get connect or how it should be. I want to happily show you how it is happening and how you can connect and be connected to the great move of God in the world arising from the once ridiculed Nigeria. Remember you are so important in this mission since God will always do things through His people for their sakes or for the sake of the world. Bless a fellow or group with this by sharing, forwarding or copy and paste. God has blessed us and Nigeria. God has really blessed us and Nigeria.